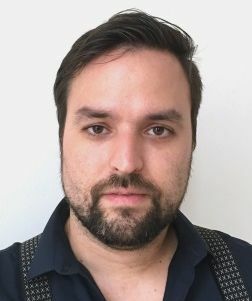 Bruno Bicudo was born in Montevideo, Uruguay where he did his BSc. in Civil Engineering (major in Environmental Hydraulics), working afterwards in several municipal water and wastewater projects, both in Africa and South America. In 2015 he finished his MSc. in Sanitary Engineering in IHE Delft, specializing in the design of centralized and decentralized wastewater treatment plants. His MSc. thesis dealt with the possibility of growing nitrifiers and Anammox organisms in a single micro-aerophilic lab-scale MBR reactor, in order to remove nitrogen from the main wastewater stream in a fully autotrophic process. Between 2015 and 2018, he went back to working in the design of municipal water supply and industrial wastewater treatment plants in South America. Since 2018 Bruno pursues his PhD within the LOTUSHR project, a bilateral cooperation programme between the Dutch and Indian governments to clean up and recover water and resources from the Barapullah drain in New Delhi. Under the guidance of Prof. Dr. Gertjan Medema, Dr. Doris Van Halem and Dr. Giuliana Ferrero, he will be assessing the suitability of the water reuse from the microbiological perspective, and specifically targeting Antibiotic Resistant Bacteria (ARB) and the Antibiotic Resistance Genes (ARG) conferring such resistance. The objective is to prove that even water from polluted streams can be reclaimed and reused for productive purposes. For additional information on this project, or interest in conducting your BSc/MSc thesis with Bruno, feel free to contact him.